Prepare yourselves for an exhilarating adventure back in time to the murky marshes of Wessex during the Middle Ages. The story of The Dragon and The Raven follows King Alfred the Great of England as he battles the invading Danes and seeks to lead his country. 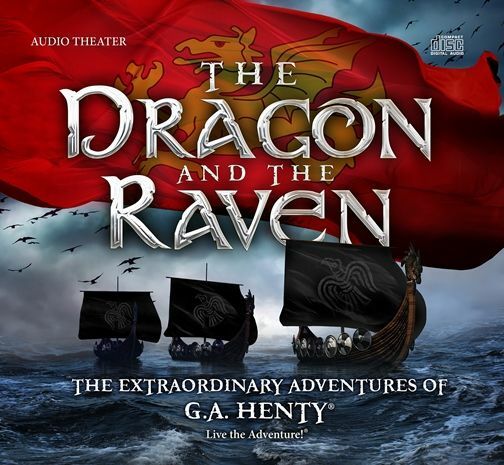 This latest offering from Heirloom Audio Productions is the fourth installment in The Extraordinary Adventures of G. A. Henty. 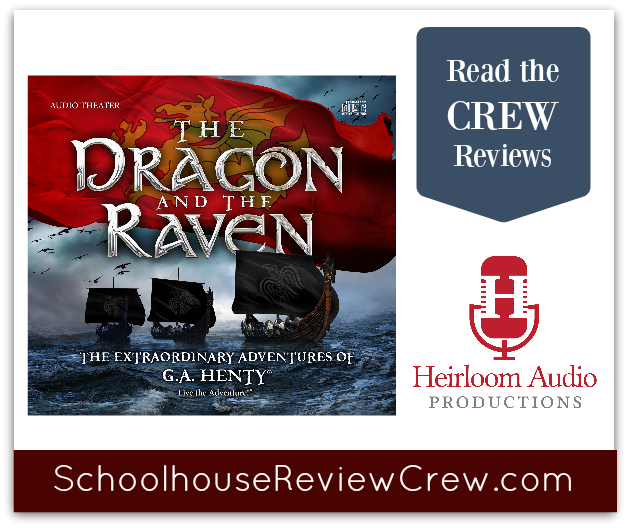 Members of the Schoolhouse Review Crew recently had the opportunity to review The Dragon and The Raven Single Package. Included were the 2-CD set, with over 2 hours of audio adventure, and the eStudy Guide, a 48 page PDF that helps parents and children dig deeper and more fully engage with the story. Also included were a beautiful printable copy of Proverbs 21:31, as quoted by King Alfred in the story, and the official The Dragon and The Raven Soundtrack MP3 download. The team at Heirloom Audio Productions have a passion for connecting listeners with real history. They blend epic adventures, engaging characters, real history, and Biblical values to draw the whole family, from ages 6-100, into the story. The cast for The Dragon and The Raven includes such superb actors as: John Rhys-Davies, Helen George, Sylvester McCoy, and of course, Brian Blessed returns as G.A. Henty. Their efforts are joined with the musical talents of Emmy winning composer John Campbell. They are led by the talented Bill Heid as Director and invite you to “Live the Adventure” with them.